| Courtesy Jeremy Nichols, op-ed mug. The need for the Obama Administration to reform the way our publicly owned coal is managed could not be more apparent or urgent than in Utah, where Gov. Gary Herbert&apos;s collusion with the coal industry stands to cost taxpayers and the climate dearly. As recently reported, the governor has funneled public monies toward the development of a coal export terminal in California on behalf of Bowie Resource Partners, a Kentucky-based company and Utah&apos;s largest coal producer. It&apos;s a shameful use of taxpayer dollars, but it likely wouldn&apos;t have happened without sweetheart deals from the U.S. Bureau of Land Management. Last summer, the bureau auctioned off 42 million tons of publicly owned coal (i.e., coal owned by every American) to Bowie for only 40 cents a ton. This new lease allowed the company to expand its Skyline mine underneath the Manti-La Sal National Forest. It&apos;s hard to imagine anything being sold for 40 cents a ton, let alone a valuable source of energy. To put this into context, according to the U.S. Energy Information Administration, Utah coal has been selling for more than $38 dollars a ton. In other words, Bowie paid around one cent on the dollar for its coal lease. And even though the company will pay an 8 percent royalty on what it mines, that still amounts to less than 10 cents on the dollar for the right to mine and profit from our coal. Overall, this is nothing short of a giveaway. The Bureau of Land Management also completely ignored the climate catastrophe that would follow. All told, nearly 80 million metric tons of carbon dioxide will be unleashed once Bowie&apos;s coal is mined and burned. That&apos;s nearly 150 percent of the climate pollution released every year in Utah. And now, the Bureau of Land Management is weighing whether to sell the Greens Hollow lease to Bowie, a 60 million ton tract of coal that would extend the life of the company&apos;s SUFCO mine beyond 2030. All indications are that this new lease has everything to do with bolstering Bowie&apos;s export ambitions. County officials have even confirmed that their support for investing taxpayer dollars into coal exports has been driven by Bowie&apos;s plans at SUFCO. The governor&apos;s scheme certainly raises red flags, but let&apos;s get to the root of the problem. Coal exports wouldn&apos;t even be viable for Bowie were it not for the Bureau of Land Management effectively giving our coal away and turning a blind eye to the climate consequences of more mining. Thankfully, the Obama administration is moving to reform the way our coal is managed and confront this very problem. In January, Sally Jewell, secretary of the Interior Department and boss of the Bureau of Land Management, kicked off an initiative to "modernize" federal coal management. Pointing to the absurd fact that coal is sold for less than $1 per ton, the secretary announced, "we have an obligation ... to ensure the federal coal program delivers a fair return to American taxpayers and takes into account its impacts on climate change." Moving forward, the Bureau of Land Management just announced it intends to hold a series of hearings in May and June, including one in Salt Lake City, to gather comments and ideas on how best to fix its coal program. It&apos;s great news and it means the bureau is on track to put an end to auctioning off our coal at rock bottom prices. In the near-term, it also hopefully means putting the brakes on selling any more coal to Bowie. It&apos;s unfortunate that Herbert may be dead set on doing the coal industry&apos;s bidding. However, with federal reforms on the horizon, it seems increasingly unlikely that Bowie Resource Partners will succeed in exporting coal at the expense of taxpayers and the climate. 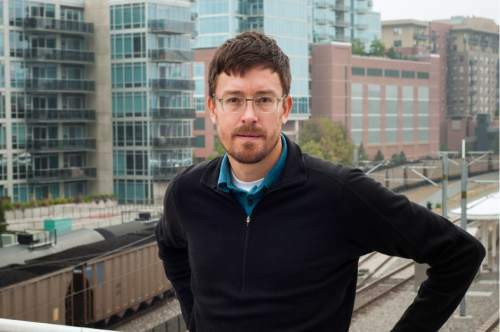 Jeremy Nichols is climate and energy program director for Denver-based Wild Earth Guardians.